Gurdaspur (Punjab): The Border Security Force (BSF) on Monday opened fire after suspected infiltration at Chakri post of Gurdaspur sector of Punjab. Inspector General of the BSF, Anil Paliwal confirmed this to ANI. However, the BSF confirmed that there was no retaliation of fire from the other side, adding that it was not at all trans IB. Meanwhile, a search operation is being conducted at Dorangla village in Gurdaspur after some suspected persons were spotted there. 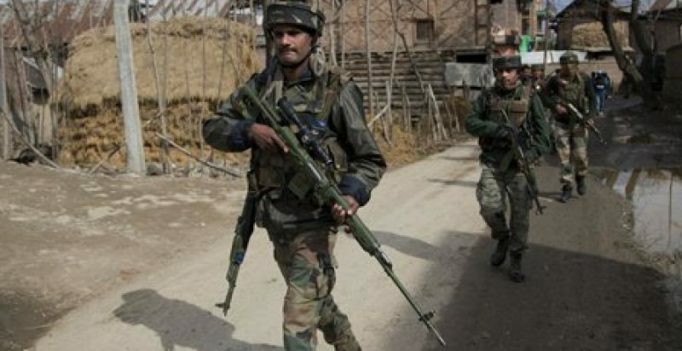 The firing comes hours after the headquarters of the 46 Rashtriya Rifles was attacked by terrorists late on Sunday night in Baramulla sector of Jammu and Kashmir. One BSF jawan was killed in that attack and another injured. Union Home Minister Rajnath Singh discussed and reviewed the security situation with National Security Advisor (NSA) Ajit Doval in wake of the Baramulla attack. Singh had spoken to Director General, BSF, K.K. Sharma and asked him to provide best medical facilities to the injured jawan. This is the second instance of infiltration post the Uri terror attack in Jammu and Kashmir in which 19 soldiers lost their lives.